Hank Hall, of Spirit Lake, IA, will be featured in a solo exhibition in the Charles H. MacNider Art Museum’s Center Space Gallery. Off Center: Ceramic Works of Hank Hall opens on Friday, July 6 and will be on display through Saturday, August 25, 2018. The Charles H. MacNider Art Museum is free to visit and is open to the public. 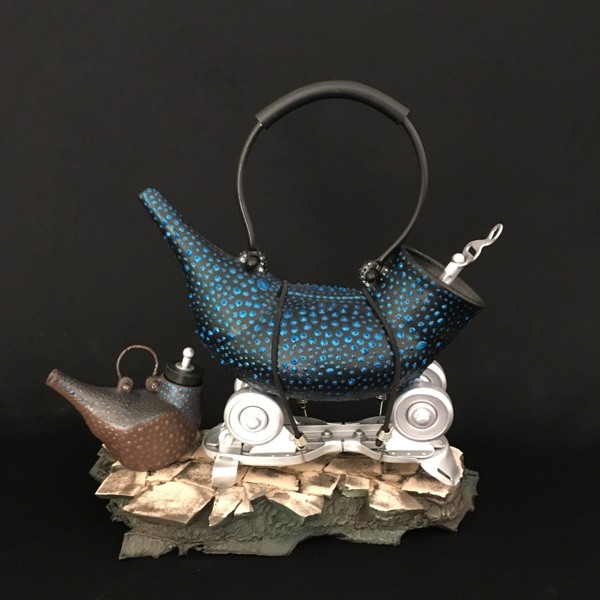 Hall won Best in Show during the Iowa Crafts: 42 exhibition in 2015. As prize for his win he was awarded a solo exhibition in the Museum’s Center Space Gallery in 2016. Hall was in the process of moving, however, and did not have access to his studio or an excess of artwork. He asked that we put off his exhibition until he was settled and able to create some new works. The Museum is now happy to feature his clay and mixed media sculptures in a 2018 exhibition.